It is important to not only negotiate contracts with your client but equally as imperative to know your contract throughout the project. Many times the person negotiating the contract may not be the same person ‘working’ on the contract. Meaning that the project manager needs to know what the contract entails. 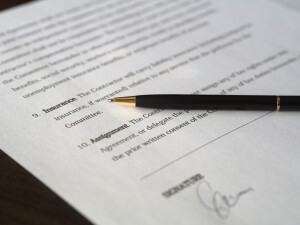 What is the scope of services associated with the contract? What happens when there is an issue on the project? What if there are fee disputes? The contract defines what is expected of not only your firm but what is expected of the client. It is best to know the contract expectations before actually working on the project. Meaning that once the contract is signed whoever is working on the project needs to also understand the contract in detail and refer to the contract during the project. The contract may be your firm’s standard contract or an association contract, which have many standard provisions. If this is the case it is still important for anyone working on the project associated with the contract to understand the contract in full. If it is your client’s contract that may have been through negotiations it is also imperative that the contract is available and referred to during the time of the project. Probably even more frequently than your firm’s standard contract because it may have different provisions than what your firm is used to. The bottom line is regardless of where the contract came from; your firm’s staff needs to have an understanding of what is included in the contract. Even if your firm’s attorney worked on the contract, again it is still important to know the contract during the time of the project. If you have questions about contracts please call or email your Professional Underwriters agent.